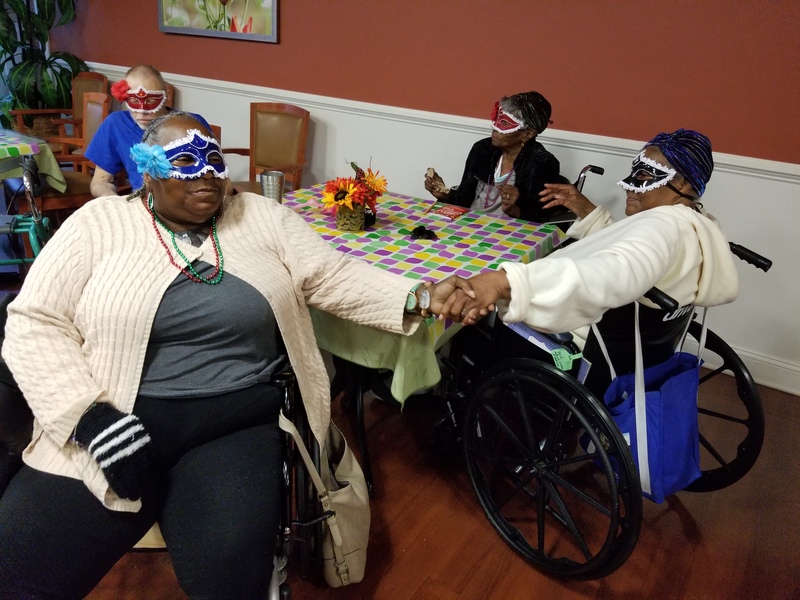 This Month, residents at Tower Road celebrated Destination: New Orleans in true Mardi Gras fashion. The week-long trip began with jewelry making, mask making, cajun cooking club, trivia,music, history, videos and arts and crafts. We celebrated our Mardi Gras ball on Friday the 1st and ended our week on Fat Tuesday with a live musical blues and jazz concert complete with New Orleans Fare. We ended the magical evening with our King Cake where we crowned this years Mardi Gras King and Queen!